Many-to-many relationship refers to the relationship between two entities/tables A and B in which one element/row of A may be linked with many elements of B, and vice versa, one member of B may be linked to many elements of A. In this example, the book and publisher tables have a many-to-many relationship. One book may be published by many publishers and one publisher may publish many books. 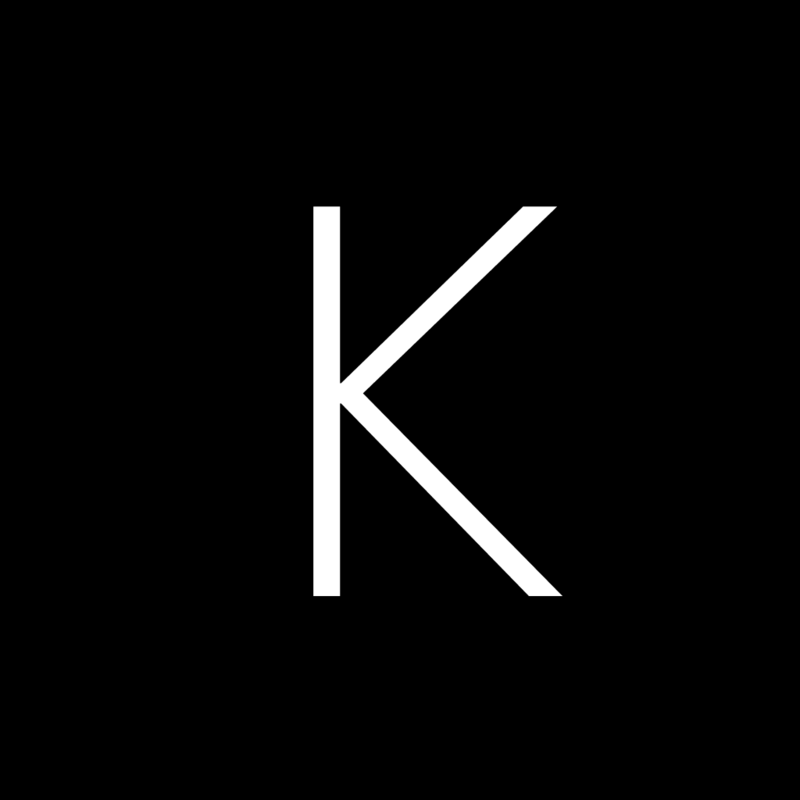 book_publisher is a join table of book and publisher. book_publisher.book_id is a foreign key references to book.id, book_publisher.publisher_id is a foreign key references to publisher.id. book_id and publisher_id is also a composite primary key of book_publisher. @Id declares the entity identifier. 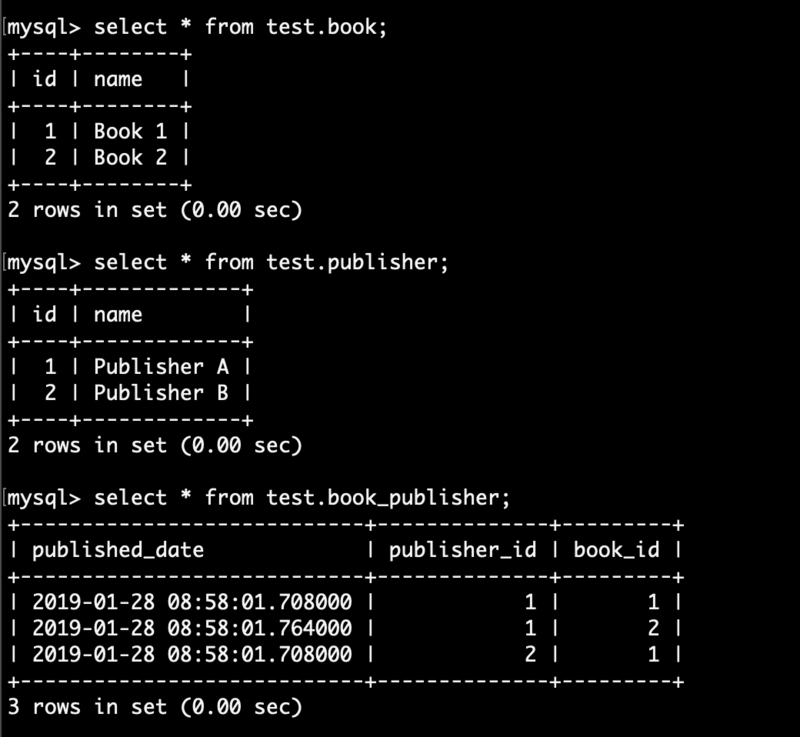 @Column maps the entity's field with the table's column. 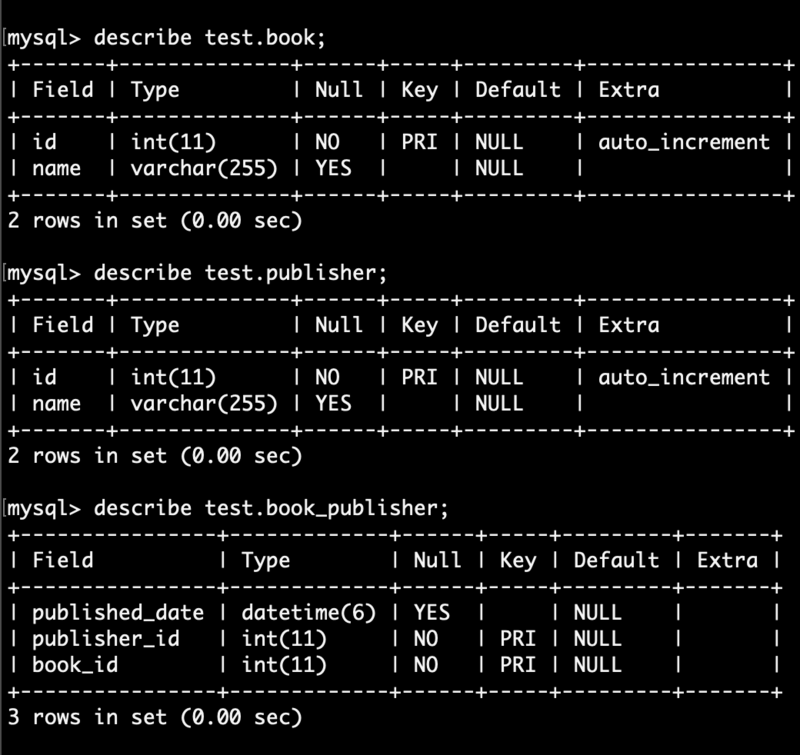 If @Column is omitted, the field name of the entity will be used as column name by default. @OneToMany and @ManyToOne defines a one-to-many relationship between 2 entities. @JoinColumn indicates the entity is the owner of the relationship and the corresponding table has a column with a foreign key to the referenced table. mappedBy indicates the entity is the inverse of the relationship. 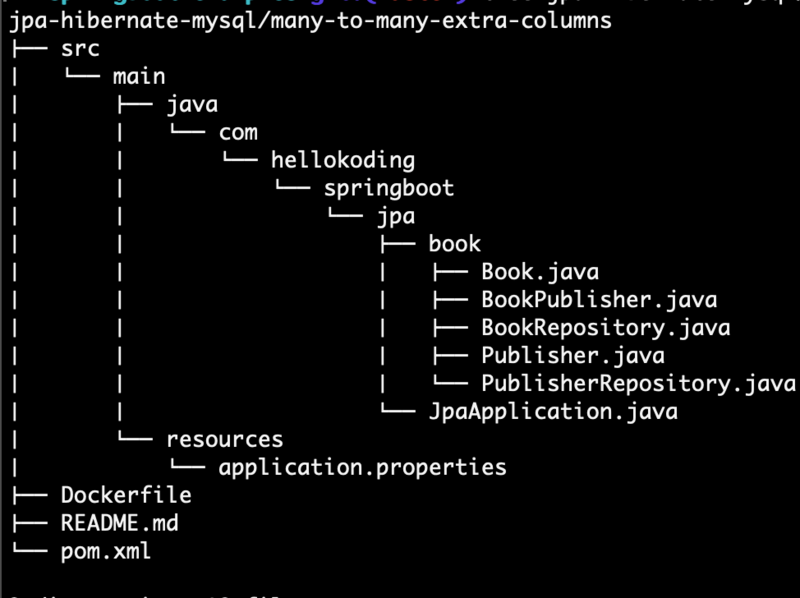 Spring Data JPA contains some built-in Repository abstracting common functions based on EntityManager to work with database such as findAll, findById, save, delete, deleteById. All we need for this example is extends JpaRepository. Thanks to CascadeType.ALL, associated entity BookPublisher will be saved at the same time with Book without the need of calling its save function explicitly. 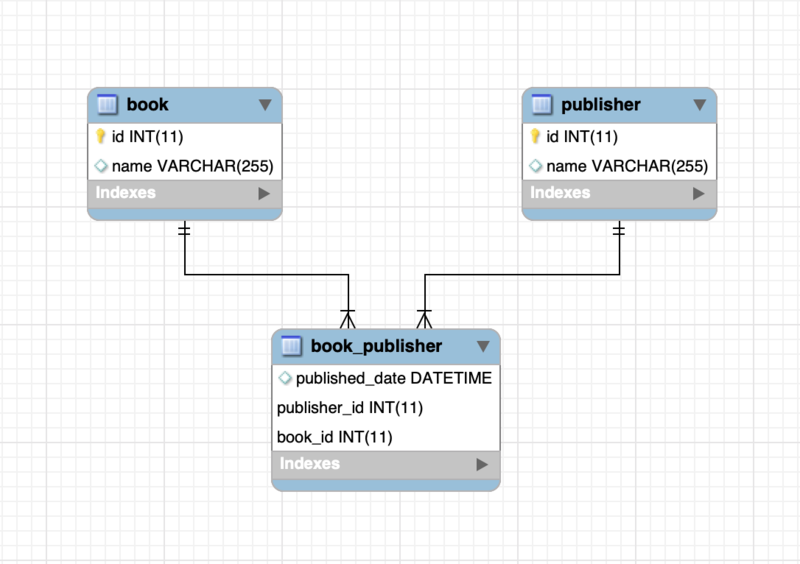 Query the schema and data created by JPA/Hibernate based on your mapping.